It's a very busy day on the railway! 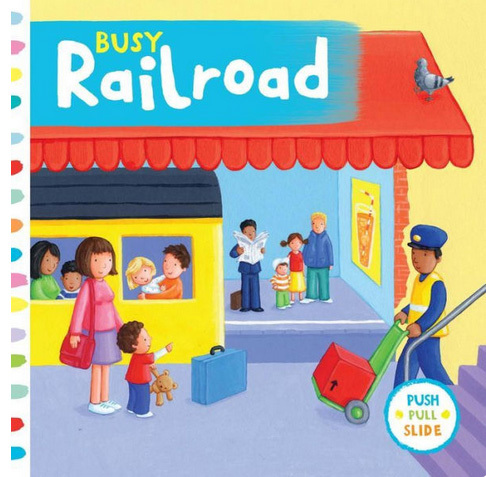 The simple push or pull of a tab in this chunky, interactive board book can cause all sorts of amazing things to happen: guard rails go up and down, trains go in and out of tunnels and smoke pops out of the chimney! Full of delightful detail and magical mechanisms, this is the perfect book for keeping busy hands and busy minds entertained for hours. Board book, 7 x 7", 10 all-color pages. Ages 1-4.